Combine and mix these ingredients. Form into balls and store in the refrigerator. Wait 10 minutes to give the almond balls some time to chill. Then melt 1 cup dark chocolate wafers in a pot on the stove on medium heat. Stir continuously until all melted and then turn the burner off. 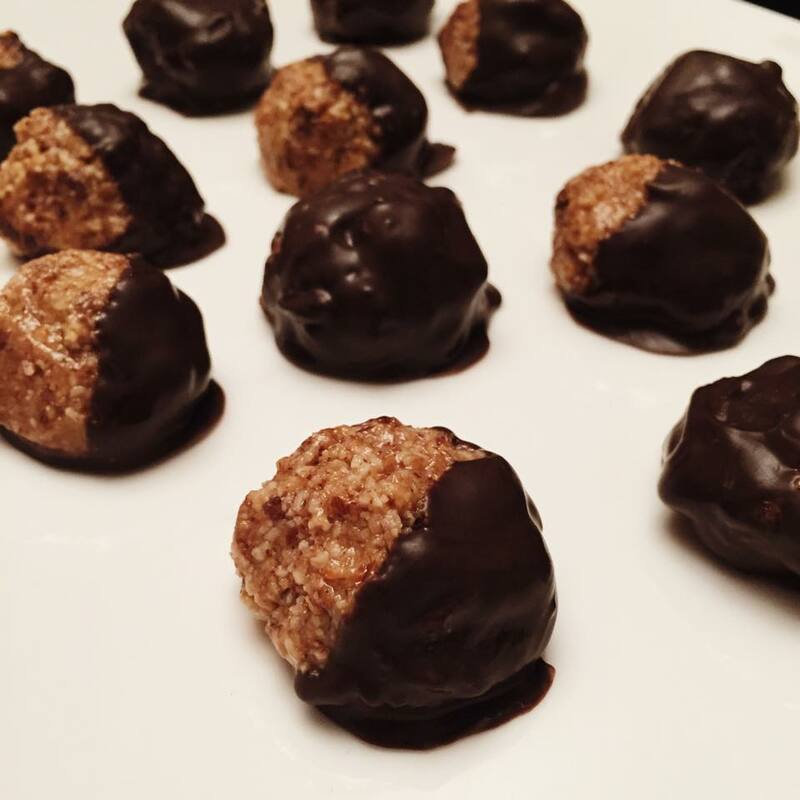 Remove almond balls from the fridge and dip in the dark chocolate. You can coat the entire ball or half of it like I did. Put on parchment paper and store in the refrigerator. **If you are looking to increase the protein, substitute some of the almond meal/flour for a plain whey protein powder.